Car Executive service in the Eternal City! Do you know Car Executive? 1. Safety. These means provided by Car Executive are very safe. In addition you have the opportunity to stay in some luxury cars, which have been designed by the most prestigious brands (BMW, Mercedes and so on) or in cheaper cars. And if you travel with children, you can sit them on apposite children seats! 2. Convenience. 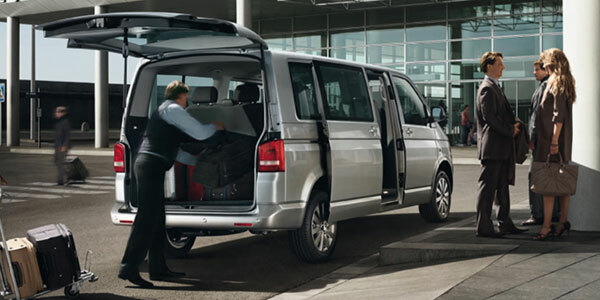 In fact, the service offers a large variety of prices: you can travel in simple cars, in luxury cars or in mini buses. Furthermore, their prices are very cheaper: in contrast to the majority of their competitors, they offer the same high quality of service at low prices! 3. Comfort and reliability. When you arrive at the airport, you can find an eccellent hospitality. There is a professional English-speaking person who welcomes you and brings you to your final destination. 4. Punctuality. If you have a wedding ceremony or a business/work meeting, you can stay relaxed: Car Executive will always arrive on time. And in the case of a delayed flight, the driver will always know your time of leavings and the time of arrivals. This, he will adjust the time according to the new flight arrival time. Thanks to a flexible cancellation policy, this procedure is totally safe. This service is available in many cities of Europe, in particular in Rome. In the case of Rome, Car Executive has an eccellent service, which offers you the possibility to enjoy unforgettable tours. Do you want some examples? Firstly, you visit the Eternal City, including museums and important monuments, such as the Colosseum. Then, you can also do a Tivoli & Castel Gandolfo tour: this experience comprises the opportunity to visit Tivoli and its beautiful villas (such as Villa d’Este, Villa Adriana and others). The most important aspect that make the service amazing is that it is available 24 hours a day and seven days a week, allowing you to travel also in the night hours or on holidays. So it is an original service, which offers more opportunities that a simple means of transport. How can you book Car Executive service? Booking Car Executive is very easy and you have various alternatives. Visiting their website, you can find a phone number. So you just have to call them. In alternative, you can send them an email or you can simply booking online, adding the main features such as numbers of persons (and the eventual presence of children or people who need some types of support), type of car (cheap or expensive), destination of leavings and destination of arrivals (for instance, from Fiumicino Airport to Rome city center). Do you know the benefits of Chia Seeds? Alaska and its Katmai National Park!